By now, many of us are familiar with what the Google Glass looks like. It’s sleek, straps around the front of your forehead, and has that rectangle with a glass screen set for the right eye. Even though Google is rumored to be working with Warby Parker to create a cool look for the Glass, today’s test Explorer edition came a long way from beginning stages. 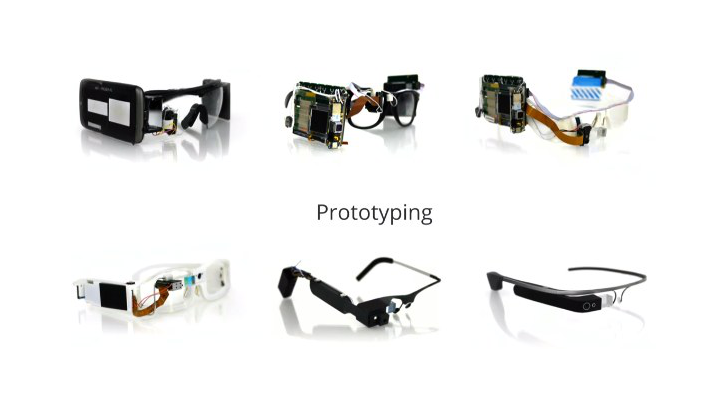 In Google I/O’s “7 Techmakers and a Microphone” panel last night, Google Project Glass Staff Hardware Engineer Jean Wang unveiled some photos of what the Glass looked like during prototype. And man, they were ugly. Yes, the Glass is basically a computer and projector shrunk down to the size of a finger then attached to a thin frame. But early prototypes showed that the process of miniaturizing the Glass’s hardware was no easy task. The first few versions looked like Google straight up stuck a smartphone on a pair of goggles. 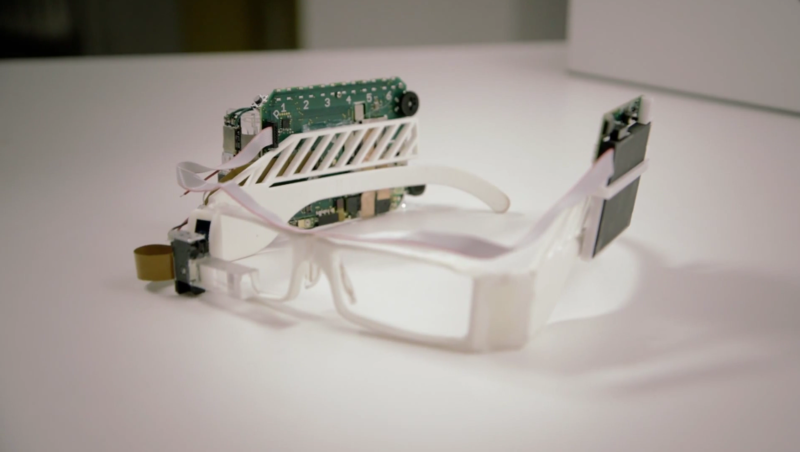 Then it looked like Google stripped down the smartphone to the motherboard, then glued it onto some hipster glasses frame. Eventually, the team opted for 3D-printed components (top right) to help de-clutter. Wang also admitted that she’d seen the Saturday Night Live parody with Fred Armisen, and said some of his fictional struggles were not too far off from what testing the Glass was like. Technology development is a long and tiring process, but a quick look at these photos makes us appreciate today’s tech so much more. A lot of work were put into making the product function and look good. Although the Glass may have its issues today, we’ll hold out that these same developers can perfect the device – even if we’re still not quite sure where we’d ever wear the Glass to… or if $1,500 is worth the investment in a controversial test gadget.